Better late than never, here are your weekend announcements. 1. First essays. I have finally finished grading the first formal essay. You should have received an e mail with a copy attached with grade and comments. Please let me know if you have any questions about the essays. However, the goal is that you can take some of the principles learned from the first essay and apply them to the second. Things like close reading, establishing a microcosmic-macrocosmic relationship, and integrating a They Say, I Say structure are important maneuvers. 2. Final essays. Remember that I have extended the deadline for the final essay. It will be due to me via e mail by the end of the day on Wednesday, June 8 (11:59 PM). Let me know if you have any questions before that deadline arrives. 3. Final exam. I’ve posted the study guide to the final exam on the website. Be sure to take note of it, and as always, raise questions before the exam. We’ll spend some time in class tomorrow talking about the structure of the exam if needed. 4. Final free-form article checkpoint. Remember that tomorrow is the final deadline for free-form articles. At the end of the day, all contributed free form articles will not “count” toward the grade average. 5. Podcast for extra credit. It’s still not too late to propose a podcast episode and schedule a recording with me. The option is still there, if anyone wants to take advantage. 6. “Midterm” grade report. Tomorrow I will finally hand out an assessment of where your grade is. Again, better late than never. I will say more about it in class. On Friday, we’re going to be watching parts of the Robert Zemeckis film, Back to the Future (1985). Lately, the 1980s have been on a lot of people’s minds for a lot of reasons. Think about what was happening in our country, the world, and in our culture that could have caused anxieties about the distance between the past and the hope for a future. In order to prepare for Friday’s class, you may want to read about Reaganomics, the savings and loan crisis, the Cold War, and the films of John Hughes. Here’s a list of texts that we’ll be reading in the upcoming week. On Tuesday, we will read a short piece, the opening chapter to Rachel Carson’s Silent Spring. If you are not familiar with this book and its place in US culture, read up on it at Wikipedia. We are heading down the stretch run of this course time wise, but we still have a lot of work to do. Please keep in mind the following information as we approach the last full (almost) week of our class. No class on Monday: It’s an academic holiday (Memorial Day), so we will take the day off! Here are some questions to keep in mind when reading Walden. 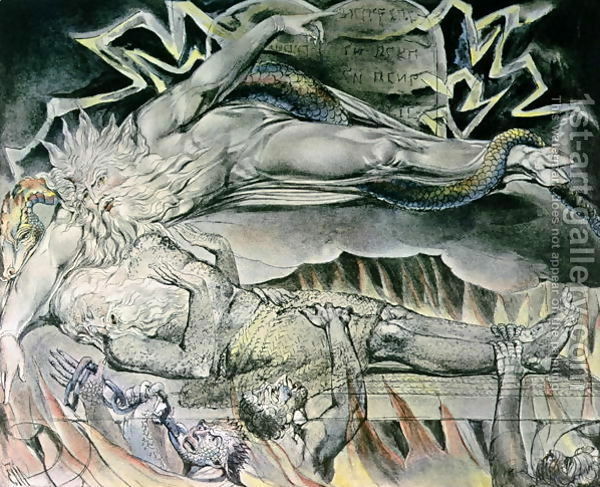 William Blake’s Songs of Innocence and Experience is a series of poems that dramatizes the fundamental pastoral movement we have seen in many of our texts: the journey from a world of innocence to a reality of experience. Each “song of innocence” has a companion “song of experience.” Blake is a poet who believed that “without contraries there is no progression,” and these poems, according to Blake, show contrary states of the human soul. Tomorrow, we’ll be making yet another transition into a Renaissance function for pastoral: expressing vocational authority. Before (or maybe after) reading Milton, take a look at the first stanza of Spenser’s epic poem, The Faerie Queene. (Read Wikipedia if you’ve never heard of this epic).